Using Intel Atom Diamondville processor, the new Dell Inspiron Mini 9 weighs less than 3lbs and features a bright 8.9 inch glossy LED-backlit screen (1024 x 600) with 4, 8 and 16GB SSD options (Note: users can get additional 2GB free online storage at Box.Net based on an exclusive collaboration plan between Dell and Box.net). It has solid sealed keypads which are large enough to type and navigate. 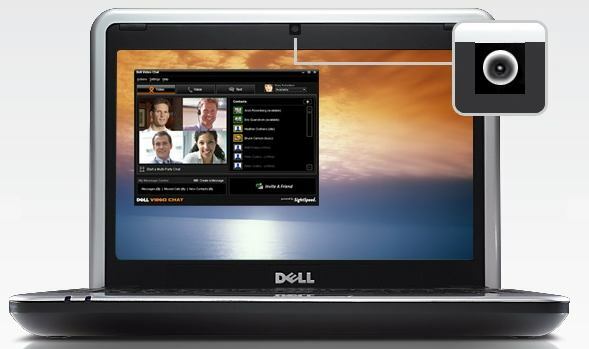 Users also can add in an optional built-in webcam which bundled with Dell Video chart. This facility gives users the convenience of making a video chart, an internet call, etc. Read more about the features. The new Dell Inspiron Mini 9 is available starting from the selling price of $399 for the XP version. Dell will offer its Ubuntu Linux version starting at USD$349. US residents can strike some good deals if they intend to purchase a Studio 15, XPS M1530 or XPS M1330 laptop. Dell will offer these purchasers the chance to get a Mini for only USD$99 from 5 September to 9 September.